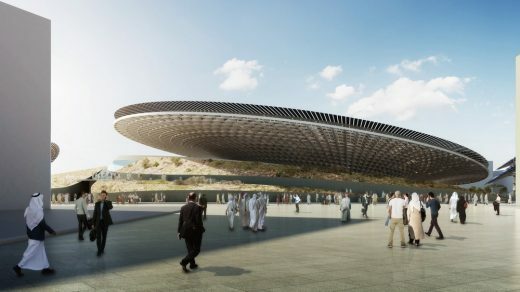 This British architects office is delighted to have been commissioned to create the Sustainability Pavilion for the 2020 World Expo, which will be held in Dubai, UAE. 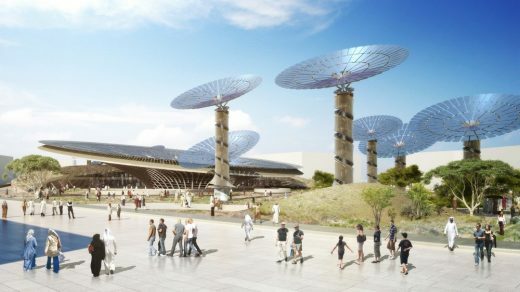 The Sustainability Pavilion aims to illuminate the ingenuity and possibility of architecture as society looks to intelligent strategies for sustainable future living. 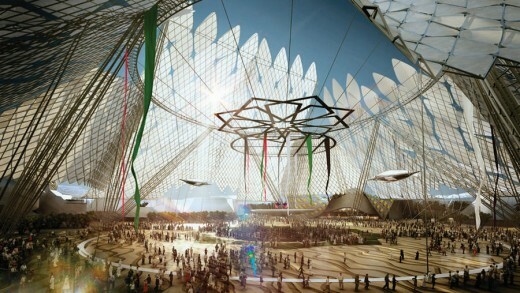 The design fits into the tradition of remarkable architecture built for the world exposition stage. 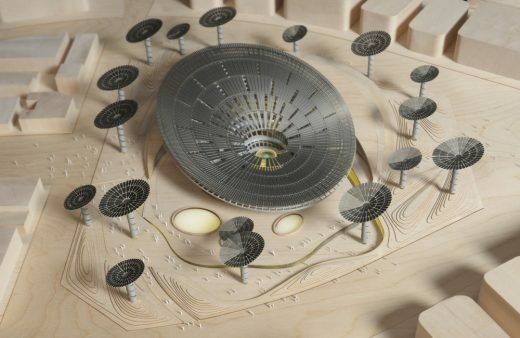 The pavilion is a unique opportunity to deliver an aspirational message about the natural world, ecology and technology to a global audience. Grimshaw has sought to create a holistic experience that is both exhilarating and informative, and with the support of engineering consultants Buro Happold, the pavilion is designed not only for its striking form but for its demonstrative capabilities. 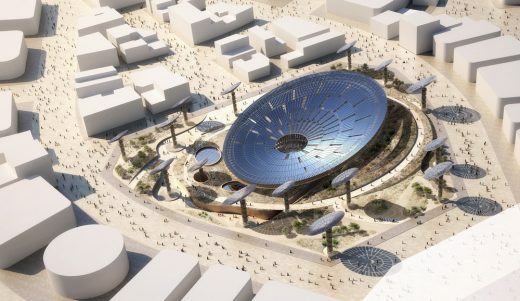 Drawing inspiration from complex natural processes like photosynthesis, the dynamic form of the pavilion is in service to its function, capturing energy from sunlight and fresh water from humid air. 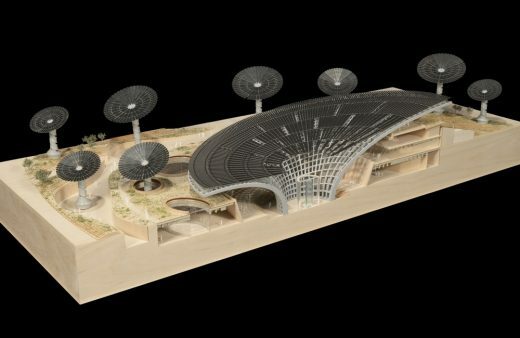 The systems being developed have not been applied previously on such a large scale with the Sustainability Pavilion acting as an important centre and functional laboratory for architectural exploration, demonstrating the possibility of self-sustaining architecture even in challenging climates. Sited in a prominent location, the pavilion structure works in tandem with the considered landscape of demonstration gardens, winding pathways and shaded enclaves to create an aura of magic punctuated by the sights, smells and tactile opportunities of nature. The pavilion was developed in a holistic manner that incorporates a considered, supporting landscape design. 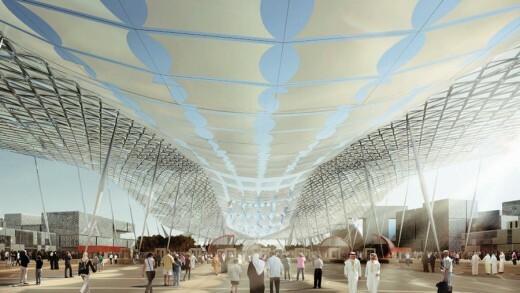 The gardens surrounding the pavilion design are an integral part of the visitor experience, both experiential and functional, setting the stage for the exhibition contents within and creating gathering areas that will manage and distribute crowds while providing retail, food and beverage opportunities. Content of the pavilion is key to the visitor experience and a primary driver behind the design thinking. 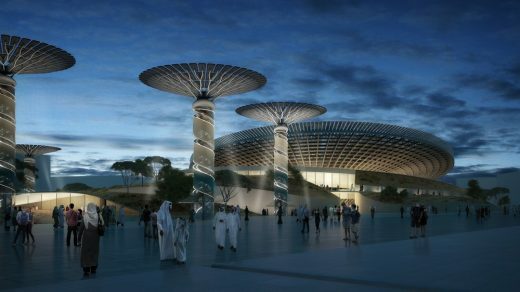 The exhibition programme is set to leverage the incredible bio-diversity of the planet and the striking ways in which nature has adapted to harsh climates and challenging conditions. 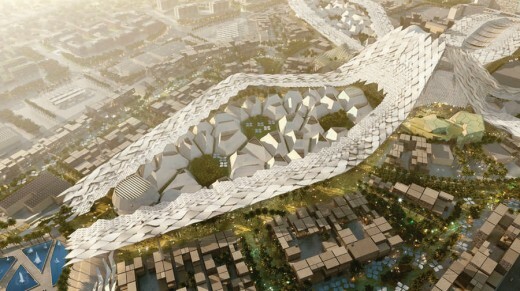 As the United Arab Emirates continues to establish itself as a global cultural leader, it is important to be represented by design that is both functional and revelatory. 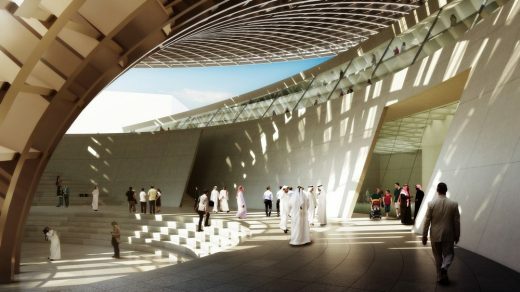 The pavilion is designed to perpetuate beyond the life of the mega event, as part of Expo 2020 Dubai’s legacy strategy, and delivers a distinct architectural presence driven by the message it intends to convey. 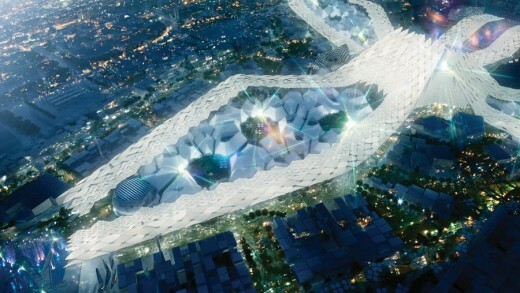 Dubai has been chosen as the host of the World Expo in 2020. 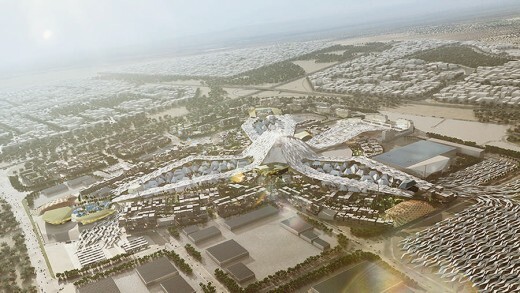 HOK was the lead designer for a team that developed the master plan for the Expo, which is expected to draw more than 25 million visitors. 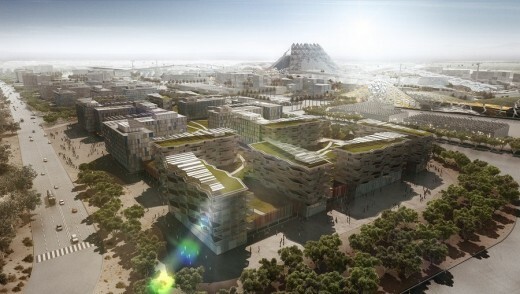 The HOK / Populous team, lead designers of the Dubai Expo Masterplan, are delighted with Dubai winning the World Expo 2020, and would like to congratulate Dubai and everyone involved in the bid.